My son bought a new guitar and amp, and then he went out and scrounged a bunch of used special effects pedals. You plug the cable from the guitar into the pedal, and then you run another cable from the pedal to the amp. This puts the pedal in-line between the guitar and the amp, and when you tap the foot switch it activates the special effect. You can connect several of them in series and turn on as many as you want. Evidently this is a fairly common practice and bands that use lots of these pedals are known as shoe gazers because, duh, they are looking at these foot pedals while they play and it looks like they are gazing at their shoes. What I didn't realize is how much of a band's sound depends on these special effects. John has been playing some bits of tunes using these special effects pedals and he is producing sounds I recognize much more readily than I would if it was just the tune without the effects. That's FAFSA, not FASFA. FASFA sounds better, and it works just as well in Google, so maybe it doesn't matter. Not sure just what all the letters in FAFSA stand for, but the last three stand for Federal Student Aid, i.e. money for college. I looked into this a couple of years ago, but all I found was a bunch of yahoos telling me to fill out this gawd awful form and send it in. No indication if I (or more properly, my kids) would qualify for a grant or not. I could just see filling out this form that looks even worse than a Federal Income Tax form, digging out all the required financial information (how much do you have? how much did your dog make? are you now or have you ever been a member of the triple A? ), filling in all the blanks, dotting all the i's, crossing all the t's, mailing it in and getting a response in 6 months that says, no you don't get no stinking money because your dog made more than a dollar and a half back in ought nine. It sounded like a giant cluster foo. And I don't care about student loans, I don't want no stinking loans. That's the last thing anyone needs. But I've been out of work for a while, and my wife was making some noises, so I said I would look into it again, and I finally did. This time I found an on-line estimator that lets you fill in a few blanks and comes back with your "Expected Family Contribution" (EFC). From this it looks like I've been contributing more than my share, so maybe we would qualify for a grant, so maybe it would be worthwhile to fill out the stupid form and mail it in. The glass-half-full part of me says probably not, but my better half will disagree. So it looks like I've got some paperwork to do. Bah. I also found a link to a federal page that had the government's actual rules for calculating eligibility, but the link is dead. Stupid bureaucrats. Probably just as well. I imagine it is probably as opaque as the page describing Abby's Military grade Tom-Tom. I'll let you know if this ever pans out. — Colin Wilson, author, who was born today in 1931. Found on Bill Peschel's Blog. "I decided to become an optimist late 2008. As a matter of policy, anyway. It has its advantages in that I don't have to worry about anything anymore. "For example, someone like me who isn't working has to field a lot of questions about why I'm not working, what am I doing to find work, what are my plans to overcome the unendurable misery of not working, etc. If one is not an optimist, one has to provide detailed answers addressing one's goals, experience, interviewing strategies, etc. Now I just say "I'm looking, and I'm an optimist." Most people find this unanswerable -- because questioning optimism makes one an evil pessimist, I guess." "It's like being a christian, or a republican. No one can touch you." My youngest son: "I am going to be a hamster today." I drove down (down means South, right?) to Salem yesterday evening for my five minutes of fame. I gave a five minute speech about my idea for a multi-level city. It seemed to go pretty well. The event was held at the Northern Lights Theater Pub on South East Commercial Street. The theater was interesting. Projectors are finding new uses all the time. Our church uses a projector to display the words to songs, dispensing with the need for hymnals. Northern Lights uses a projector to display the menu above the concession stand. They also had a theater size projector that they used for the speakers presentations at this event. This picture was an experiment. It is a picture of Ross Schwartzendruber, who organized the event, taken from across the theater at full zoom, using a water bottle as a tripod. No flash, the distance was too great. I used Picasa's fill light slider to bring some of the surrounding stuff out from the background. Can't really tell who it is, but Ross deserves credit for putting this show together. Update March 2016. Replaced missing pictures with copies from my archives. Working on the boat, shop-vac-ed out the "rain water" from the engine compartment bilge yesterday. Many projects, you all are welcome to working vacation, free lodging on the boat! One of the local millionaires has two nice boats near mine, after replacing the 4 new looking batteries, one of the 2 - 465 HP engines starters hung.... 2 days later a Mercruiser mechanic thinks that a cylinder is filled with water not allowing the engine to cycle. Those big engines are accessed via a automatic hydraulic hatch, clean and bright, but appears engine has to be pulled to access starter....not sure about the plugs. Lucky for you (me) my 160HP Mercruiser is fully accessible in its 10' x 6' x 4' compartment. Your story about the millionaire and the boat motor that won't start got me started on a wild goose chase that lasted longer than I care to admit. Some weeks ago I read a story by a millionaire yacht owner about a speed problem he was having with his 50 odd foot yacht. I remember reading the story and thinking this guy was an idiot and deliberating not bookmarking it because the last thing I need is another example of stupidity. Or so I thought. This is the story as I recall it. Guy buys a brand new 50 foot yacht with twin Volvo engines. It will get up and plane at 22 or 23 knots. It works fine for a while and then one day it won't go over 18 knots. So he starts looking for the problem. He has the boat hauled out of the water. He has it weighed. They can't find anything wrong. The factory recommends that he change the pitch of the props, so has them flattened. Lots of fooling around and nothing helps. Finally they get some expert Volvo mechanic to come take a look and he finds an air pressure sensor (manifold pressure, I think) and there is water in the tube connecting the sensor to the engine. That was the whole problem. Sensor was not reading the pressure right, so the computer wasn't giving the engine enough boost, it wasn't generating enough power and it wasn't going as fast. Guy spends thousands of dollars trying to find the problem, and the problem wasn't he didn't have the right person working on it. And after all was said and done, he had to buy a new pair of propellers, 3 foot in diameter, bronze. Of course, we don't know what kind of jerk he was, or how smart he was, or how smart the people he was dealing with. Still, it bothers me. I don't know whether it bothers me because they were dumb and did all the wrong things, or because I suspect if it had been fixed easily right off, he would not have been willing to pay the same amount of money. And how much should he have had to pay to get it fixed? All this reminds me of a story I heard about Panovision motion picture cameras. Some people were making a film and one of the cameras got a scratch on the platen that sits behind the lens that the film slides over. Who knows how the scratch got there. They had to fly in a Panoflex camera repair man at some exorbitant price to polish the platen and make the camera all better. At the time I heard this, the price seemed astronomical. I don't remember what it was, but now I understand. Motion picture film cameras cost tens of thousands of dollars. If it breaks, it could easily cost five grand to get it fixed, and it would be well worth it. One of those cameras can probably consume ten thousand dollars of film in a day. As for your millionaire. If they can pull the plugs, they might be able to get the water out of cylinders and get it started, but how did the water get in there in the first place? Might be freeze damage from the winter. Pulling it out and tearing it down might be the best thing. Yes exactly same sort of phenomena: Wealth-holder experiences technical problem, hoping to get rid of it, he throws money at it, experts are summoned, perplexed at description of problem, much futile complicated work is performed, problem is finally resolved simply and easily. I experienced this once with my 1986 Mazda B2000 PU, mysteriously misfiring, somehow I thought carburetor, started a complicated dissection of that, stopped and rebuilt before losing parts. Still misfiring, replaced plugs, problem solved. Big-boat-simple-problem just another example of check the simple most-probable things first. Big boat problem update: Yes, removing the plugs to allow the uncompressible water out sounds like the right course. The aircraft mechanic friend didn't want to pursue that because of the awkward working angles. They were bringing a expert Mercruiser mechanic up, whom I think resolved the issue because I saw the boat out yesterday. I have been sleeping soundly since working on my boat. I see that millionaire boat situation somewhat differently. Criminal who stole fortune from American taxpayer blows it on Volvo powered penile implant, and it doesn't work right. Whines to normal working guys, who REALLY care about his problem. Guy escalates problem to corporate level, who REALLY care about his problem. They decide to take a look and suggest a way for guy to spend more of his money, keeping a serious face. Guy spends money. "Gee, didn't that fix it? Sorry. We were sure that was it. Let's try something else. It'll be cheaper." Guy parts with more of his ill-gotten money. Used props go onto secondary market and get sold for profit to normal working guys. Boat awaits next whiny complaint. "Screw him", says boat, mechanics, and corporation. All laugh. Oh, and I remember a problem with the Mazda. It was the vacuum advance. Yes there is a screw-the-rich-guy mind-set out there. I saw it at Maaco, Corvette repairs/painting, automatically 50% higher. Rationalized by "corvette owners are more particular, and we will more issues with them, besides they have too much money. I see it at our house, "big brick house, clay tiles, I can replace your 200 linear feet of gutters for $20,000". I see it for child support "you used to make a good salary, you have money, pay child support like your making $60K even though your not"
So isn't it the trend to be capitlized on, especially in these pinched times? Or is it somehow more Christian in the freakish Reaganesque manner, to continue to worship the wealthy? All I hear here is sympathy for the difficulty of the wealthy, or some twisted empathatic self-identification as such. Isn't that self-defeating, or do you truly believe you depend on the wealthy or will be wealthy yourself? No, it's not sympathy for the wealthy you are hearing, though I am not sure what it is. Rich man with broken boat is willing to pay huge sums to get it fixed. If the problem is a tiny technical failure, a smart mechanic can sometimes track down problem and locate culprit for a relative pittance. Sometimes tracking down the problem can take a long time. I remember trying to diagnose a reset problem with a CPU board at Intel. If memory serves it took about a month of hair pulling to finally track down the culprit.In this case it wasn't because the board had failed. There was a design flaw that affected all of this particular model of board. Finding a mechanic who can diagnose the problem can be more difficult than finding and/or fixing the problem. Straight forward mechanical repairs are relatively easy to deal with. People have done these repairs before, they know how long it is going to take, they know how much it is going to cost. They can compare that with the value of whatever is broken and decide whether to proceed with the repair or not. Broken complex systems can be much more problematic.Hard to determine what the problem is without lots of information, most of which needs to be contained in the head of whoever is searching for the problem, and some people have a problem with paying for that kind of information. I suspect this story is more of a fairy tale. As systems get more complicated, the diagnostician becomes more specialized. As systems become more reliable, the demand for good technicians goes down. Only a few companies with wide reach can afford to keep a smart guy on staff to track down these weirdo problems. Companies without the expertise make do with what they have. Problem is figuring out which technicians really know what they are doing, and which ones only look like it. Makes it hard for business people to figure out how much to pay them. Business people are generally not that bright, so asking them to figure out which technician is more smarter than they are is a waste of time. They couldn't do it if they tried. This is where certification comes in, but I am pretty sure that all certification does is set some low minimum, like they can tie their shoes. Complex system diagnoses require someone with a specialized brain, and I am not sure anyone knows how to accurately determine what kind of brain someone has. One of the words in today's Jumble was ADJOIN, which I had heard of before, but I always thought it was sort of a legal term. I thought the common term was ajoin, as they live in ajoining apartments, but ajoin is not an English word, at least according to Merriam-Webster. Then I thought of adjacent, which starts the same as adjoin, but the D is not pronounced, and when I check with the dictionary again, there is no evidence the D is pronounced in either adjoin of adjacent. I can't see it in their cryptic printed pronunciation guide, and I don't hear it in their spoken example. Just one way the online dictionary is an improvement over the printed one. Stupid English. Update: I was wondering how accurate the timing on the water nozzles would have to be in order to create these kinds of falling pictures. I estimated the size of the display to be about ten feet square. To place a water drop within one-tenth of an inch in the middle of the display, the timing on the nozzle would have to be accurate to about one-tenth of a millisecond. After falling five feet, it takes a drop of water about one-half of a millisecond to fall one-tenth of an inch. So your nozzles need to have very consistent opening and closing times. 3. the writer's personal experiences there. I picked this book at the dollar store. Sometimes I find a real gem in the bargain bin. "Res Publica". Now that is an interesting term. I have often wondered why all the governments in the America's South of the U.S. were so corrupt. Of course we have our share of corruption, but for some reason the U.S. is richer (so we can afford it?). Or maybe our corruption is not as bad as these other countries, or maybe we are the biggest dog on the block, and no one from the outside is messing with our politics. I like to think the U.S. has the best system of government, but as someone once said, our system is the absolute worst, except for all the others. And then there was that one remark about pineapples that I quoted earlier. California Bob is full of it today. An old joke from the Economist about the ultimate European — "he combines British efficiency, French moral courage, Italian fighting spirit, and a German sense of humor, in short, he is a Belgian." Unfair to the Sprouts, probably. A rabbi, overcome with his own insignificance, runs to the alter, throws himself down on the ground and shouts "I am nothing!" An assistant rabbi, witnessing the demonstration of humility, follows suit, throwing himself down before the alter and shouting "I am nothing!" A janitor working nearby is similarly impressed and throws himself down, shouting "I am nothing!" Seeing the janitor, the rabbi turns to the assistant rabbi and scoffs, "Look who thinks he's nothing." This morning I called the Travel Clinic where my daughter got her shots a couple of months ago. I just found out that travel immunizations are covered by our medical insurance (for some perverse reason regular immunizations are not). I could not find the receipt, so I called them. A woman answered the phone, listened to my request, told me she would type up the receipt and put in the mail today. I don't think I was on the phone more than a minute. I was astounded! No holding, no recorded messages, no push this, that and the other button, no delays, no dissembling. This place should get a gold star for customer service! It was just frigging amazing! Welcome to AT&T. My name is Jack. How may I help you today? Jack: I will be happy to answer your questions regarding AT&T services. I specialize in setting up new phone accounts and High Speed Internet service. Jack: Hello! How may I assist you? you: Interested in Pro DSL for $30 a month with no term commitment and $50 cash back. How do I order? Jack: That's a great choice! Jack: Please Select the Pro plan according to your needs during the order process, add that to your cart, and proceed with your order process. Jack: Yes, that is correct. you: under "month to month" it offers only "High Speed Internet Direct Express" for $35 -- I don't see my offer available. Jack: Do you currently have local service with AT&T? Jack: As per current online promotions the best online prices and promotions are only available when you order both AT&T Internet and Phone Services or if you currently have AT&T Phone Services. Jack: Are you interested in setting up basic local phone service with AT&T to qualify for our online offers and promotions? you: Doesn't say anything about "for existing customers only"
Jack: That is for the new customers as well who is placing the order for Internet with Phone as well. you: It doesn't say that anywhere that I can see, but OK. Let me surf your site a little more and see if there's anything else that's sounds interesting; I can then contact you again and ask about all the restrictions and disclaimers. Jack: AT&T Basic phone service (Measure rate plan) will cost you around $7.28 a month. Jack: If you go with the Phone + Pro then the Pro will cost you $30/ month & you will get $50 cash back. you: What is the contract term length? Jack: There is no contract with AT&T service so you can move/cancel your services at any point of time. you: What are the set-up fees and charges? Jack: There is no set up fees. you: Is there any equipment (modem) to rent and what are the charges for that? Jack: You will get free Modem/Wireless gateway. Jack: I can offer additional $75 cash back for ordering Pro with the Home phone plan from my department, if you place an online order with me today. you: If I choose to cancel, what are the charges/surcharges to cancel? Jack: There is no cancellation charges. Jack: That means if you order with me you will get $125 cash back. Jack: How does that sound to you? you: So to recap: $7.28/mo. for the phone service, and $30/mo. for the Pro DSL internet service, and I get $125 cash back? Jack: You will get check that you can cash it through the bank. Jack: Click here & get started with your online order. Jack: Are you able to proceed with the online order? Jack: Yes, please select, AT&T as local and long distance toll provider and then 'Stand Alone Products'. By doing so you would be able to select 'Pro plan'. Jack: You would need to select AT&T as your local and long distance toll provider. There is no additional charge for that. you: give me a sec. Jack: There are no hidden charges. AT&T believes in transparent business with their customers. you: I can see they believe in transparency, that is evident from all the special restrictions and conditions. you: Must be frustrating working for an outfit like that. you: Jack? Are you there? Jack: To offer you that additional cash back I would need your order confirmation number. Jack: Have you been able to find everything that you have been looking for? you: bunch of phone options..."call forwarding," etc. Does anybody really buy this junk? Jack: Please select "NOT AT THIS TIME" option & proceed. you: OK, free modem after rebate -- any estimate on the tax and S/H charges for this modem? Jack: Once you hit the Check Out Button let me know. you: OK, I have my summary page with $37.28 recurring monthly charges -- any promotion code I should enter? Jack: There is no need to enter any code during the order process to get the online promotions. Jack: Please try not to stay on a page for too long, as it may result in a timeout session. you: I'm sorry, my conditions stipulate that I need a 30% discount to sign up for internet service. Jack: I assure you that if you are ordering both the services with me now, you will get great promotions. you: what is this "install date?" Do I care, if I am doing a self-install? Jack: Click on "Yes" and proceed. Please do not change the activation date to avoid getting an error on the order page. Jack: As you proceed, You need to fill in all the information asked in asterisk mark (*) and continue. 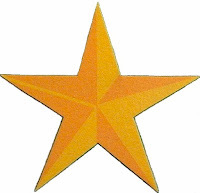 you: the asterisks are the least of my problems. Jack: Thank you for the information. Jack: In about 6 weeks, the extra cash back that I gave you will display at the AT&T Reward Center. At that time, please redeem by going to http://rewardcenter.att.com . Enter your Home Telephone Number, check the Residential box, hit continue, then follow the onscreen instructions. Jack: How was your chat experience with us today? you: Frustrating, existential, yet amusingly alienating. I just came up with an idea that could solve all of our problems. Let's have the state government issue a tax stamp for $10 for all transactions not currently covered under current trade laws and regulations, kind of like our current liquor and cigarette taxes. 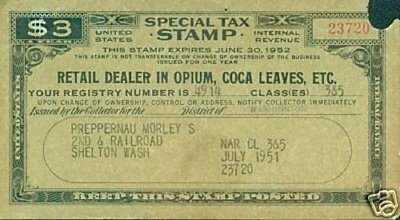 A $10 tax stamp would be required for all transactions, whether it was for a a ton of material, a kilogram or a gram. Obviously wholesalers would get off easy. $10 for a ton is a pittance. Retailers would bear the brunt of the cost. Enforcement would be much easier as it would be an administrative matter rather than a criminal matter. Anyone caught selling material without a tax stamp would have their material confiscated and would be issued a civil citation which would amount to a fine. Failure to pay the fine, or multiple citations could mean jail time. This could easy the pressure on our jails, police could spend time investigating real crimes, the problem of corruption of the police could be virtually eliminated, and the government would be assured of a steady stream of revenue. I think this just might be my best idea ever. 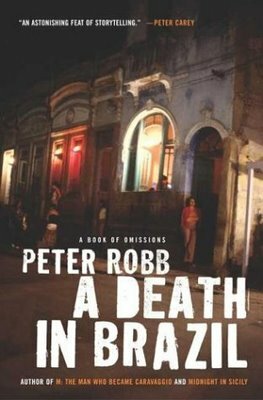 Ambulance Driver posts some entertaining stories on his blog, so when I found he had published a book I bought a copy. 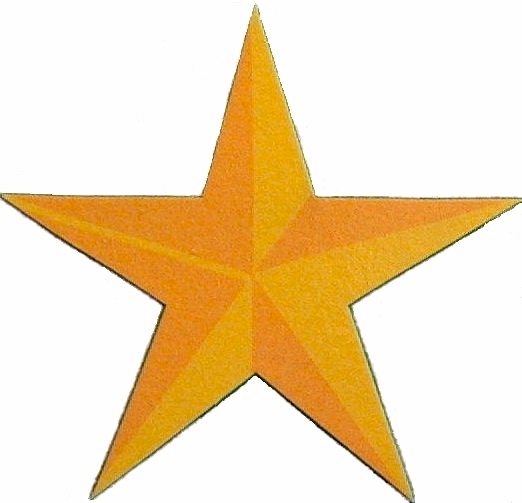 It contains a number of short stories about his experiences as an EMT (Emergency Medical Technician) in Louisiana. Some are tragic, some are humorous, some are a little of both. Turns out he has another book out now. Ambulance Driver is a pretty smart guy, and it seems that more than once someone has asked him why he didn't go to medical school and become a doctor. It seems that life got in the way. It kind of reminds me of my situation. I am usually the smartest guy in the room, which enables me to do most any kind of work, but after a few months at any job I am usually frustrated by the incompetence of the organization I am working for. I probably should have gone on and gotten a higher degree. Then I would be officially smart, and I might have found some more challenging work or a more productive career. Coulda, shoulda, woulda. Well no, not woulda. By the time I got through with high school I was thoroughly sick of school. I listened to the blather about how these guys with 8th grade educations had made fortunes and I figured I could do it to. That's what I wanted at the time: money. Eventually I did go back to school and got a Bachelor's degree and got a job making decent money. But I never found the massive financial success that some people in hi-tech did. The work was interesting and there was plenty of it, and that was what drove me: solving problems. I never connected the dots between office politics and financial rewards so I was pretty much out of the loop when the big bucks were passed out. So now, here I am at an age when most people are thinking about retiring and I am thinking about going back to school. My youngest son John graduated from high school last week, and along with his diploma came an influx of cash. Being a teenager, it was burning a hole in his pocket, so this week we put 200 miles on the truck driving around looking for a new amp. He finally settled on a used Peavey Classic 50 he found on Craig's List. With a new amp, you evidently also need a new guitar. This one is a Fender Jazzmaster, also found on Craig's List. The guitar is like new, the amp is a little scruffy. Both were purchased for less than half of what they would cost new, which pleases my inner miser to no end. The guitar is beauteous, the amp is heavy (somewhere North of 60 pounds), and John is very pleased with the way they sound. Update: We weighed the amp: 63 pounds. At lunch yesterday Marc pulled out his new bifocals. Marc is the youngest of our group and has never worn glasses. Come to think of it, Marc and I are the only ones who do not wear glasses as a matter of course. Anyway, as soon as Marc puts on his new glasses a chorus erupts from the table about how he should have gotten blended bifocals and about how much better they are. I beg to differ. I got a pair of blended bifocals awhile back and I hated them. The field of view is very narrow, too narrow to even read a page in a book without turning your head from side to side to scan each line. I took them back and got regular bifocals instead. I pretty much only use them for reading, driving at night, or going to the theater. I have been using Google Books to catalog the books I've read, but I haven't been real happy with it. There aren't any sorting options, Google doesn't appear to be doing any work to improve it, and now there isn't even a place to report a problem. So I decided I would try Library Thing. Google books has an export function, so I used that to generate a file which I then used with the import function of Library Thing. Google reports I have 68 books in my library. Library Thing reports that it found 54 books in the import file. What happened to the other 14? And library thing only supports 200 books for free. If you want to catalog more than that, it's going to cost you. It doesn't cost much, it's only $10 a year. Right now Library Thing is importing my list of books. It estimates that it is going to take an hour to finish processing my list. It scans the import file for ISBN numbers and then sends an inquiry to Amazon to get some information about the book. So we are going to have to wait until that is done before we can do any more fooling around. I'm hungry, now might be a good time to get something to eat. I just checked on the import process and it's all done. It took less than 15 minutes. That's how long it took me to write this much. A quick look tells me it is probably better than Google Books, but it will be a while before I can say for certain. I've added a widget to the sidebar that will take you to my library. Lastly, GM and Chrysler are using the bankruptcy process to shed hundreds of small or money-losing dealerships. GM plans to drop 2,600 of its 6,000 dealers and Chrysler 789 of its 3,200. From an article in the Wall Street Journal. OK, "money-losing dealerships" I can sort of understand. Maybe there is some kind of charge back arrangement where the manufacturer has to pay some money to dealers who can not make a go of it on their own. Small dealers I can also sort of understand. Given the bureaucracy inherent in large corporations, I can see where a small dealer could cost more in administration than it was worth. In this day and age of fancy computer systems, it shouldn't, but if GM is as much like a dinosaur as it's size suggests, then it is understandable. Hoyer, a Maryland Democrat, said that neither the White House nor the companies themselves had offered any economic rationale for the closing of the dealerships. Also from The Wall Street Journal. My brother Andy got himself a new boat. New to him anyway. Since he lives about 3 blocks from the Mississippi River, it kind of makes sense to have a boat. The boat is operational, but like all boats, there are a bunch of little things that need to be fixed. He's going to be busy. 1970 SeaGoing Houseboat. 32 feet long, Hardwood floors, stainless steel fridge, air conditioner/heater, sleeps 6, Chrysler Inline 6 engine, new plastic gas tank. The guy who was selling it put up a very fancy website using Adobe Flash and something called Slideshow Pro. I tried to extract the photos from this, but after a couple of hours wandering around on the net, downloading flash decompilers and playing with them, I gave up. Slideshow Pro added another layer of obfuscation that was just too much trouble, so I used my good old stand-bys, Print Screen and MS-Paint to capture the photos. It was a bit tedious cutting the images I wanted from the print screen image, but it got the job done in a predictable manner. Bought this for $1 from the used bookstore in downtown Hillsboro around the first of the month. I picked it up because it triggered a memory of a story called "The Zigzag Man" that was a bit of hit once upon a time. At least that's what I thought it was called. Turns out no, the movie was called "The Jigsaw Man", and it was a bit of a stinker. Google Books shows the title as two words (Zig Zag), but as near as I can tell the book uses the one word version (Zigzag). It appears that Noel Hynd has written several similar books. Not a particularly great book. An entertaining read, but not much substance. A potboiler, if you will. (I've heard the word "potboiler" many times, and this time I looked it up. The origins are interesting.) Good to have a break from the internet. The hero, a writer of some talent (!?! ), is something of a jerk. Whenever he is dealing with his friends, he is pleasant enough, but whenever he has to deal with other people, he is rude and obnoxious. This put me off a bit, I don't need any of that, but I still kept coming back. I rationalized that people do behave like that, so maybe the book is being realistic. What puzzles me is how it can be such a bad book and at the same time be entertaining and easy to read. Perhaps it's a bit like an action/adventure movie. There is always something happening, it may not make any sense in the larger storyline, but something is going on, and the story teller is clear enough that you can follow along. Kind of like a roller coaster that way, you go looping through all these bizarre twists and turns and it's very thrilling while you are there, but when it's all over you are back where you started. Something else that puzzles me is that there are so many writers trying to get their book published, and something like this becomes a mass market paperback. Well, I guess that's what the market wants. After all, I bought a copy, and I enjoyed it. I suspect if Noel wanted to, he could write a much better book, but this one was easy to write. Didn't hurt my brain either, but then I refrained from looking up all the real spies and spy hunters mentioned in the book. You could hurt yourself doing that. There is always an article about some murder or another in paper, but in the last couple of weeks there have been three really bad cases. Bad because they involved children. There was the woman who threw her two kids off the Sellwood Bridge into the Willamette River in the middle of the night, the man who shot his two kids and himself at a nature preserve south of Hillsboro, and the woman who killed a pregnant woman for her baby. I just hope we are done with this kind of thing for a while. Three incidents in two weeks is just too much. Probably put us on the map. The kids who were killed in Hillsboro went to the elementary school two blocks from my house. A while back I heard that the police were not stopping people solely for not wearing their seatbelts. 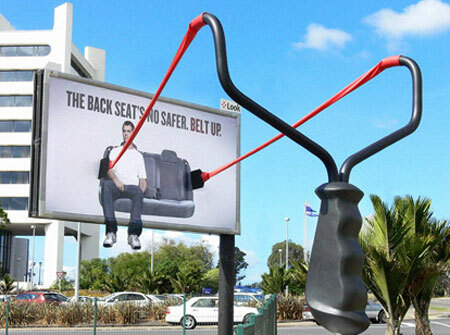 Now there are ads warning people to wear their seatbelts or face a $100 fine. I was talking to a neighbor of mine, a recently retired police officer, the other day. He is embarking on a campaign against local government waste. The first target of his ire is the $100,000 the local police got from the federal government for seatbelt enforcement. This is in a district that has a 98% compliance rate. He seemed to be of the opinion that 98% compliance was as good as you were going to get no matter what you did, and I agree. Not everybody thinks alike, and no matter what laws are passed or how strongly they are enforced, you are not going to be able to force everyone to think alike. So buckle up, both of you sinners, or face the financial wrath of the strong arm of the law! I helped my friend Jack move a lathe from his mother's basement to his garage today. He had helped his father move it into the basement 20 years ago and he remembered it being fairly easy for the two of the them to do the job. Still, the lathe is heavy, and it was going to be a project to move it, so he made some inquiries to see if he could have it done. He got an estimate from one outfit for $1800, which he thought was exorbitant, so he scratched that idea. He decided he would to move it himself with a little help from his friends. I happened to be available today so I went and gave him a hand. Last weekend he removed all the easily removable pieces so all we had to move was the bed and the headstock. It was still a bit of work. I estimate those two pieces together weighed somewhere between 500 and 1,000 pounds. If I put some grunt into it, I could pick up the tailstock end. The headstock end was impossible. The lathe sits in a big tray that is there to catch metal shavings and cutting oil. We needed to get the tray out from under the lathe so it wouldn't get damaged in the move, and we wanted to get a plank under the lathe so it would slide without catching on things. We accomplished this by lifting one end of the lathe at a time with a six foot long pry bar. After we had the lathe bolted to the plank, we slide it off the bench and onto a cart, wheeled the cart over to the stairs where we hooked up the cable from the winch on the Suburban and hoisted it up. We had a bit of trouble getting the cable started off the spool. The ferrule that holds the hook on the end of the cable was hung up on the feed rollers. It took some fooling to coax it out. We also had a little trouble getting the lathe started up the stairs. We didn't really have enough lumber with us. We managed to make do with some scraps of wood we found lying around. We had one block of wood nailed to the riser of the top stair to keep the cable from digging into the edge of the stair tread. Once we got the lathe to the top of the stairs we were able to slide it on rollers across a board and into the back of the truck. Piece of cake. When we got to Jack's house we performed essentially the same maneuvers in reverse, except we didn't have to negotiate any stairs. Before we moved the lathe onto the new bench, we needed to drill some mounting holes. The two at the tailstock end just went through the wood top, but the four holes on the headstock end went through some angle iron as well. We drilled quarter inch pilot holes to start and they went through without a hitch. Then we tried the half inch bit, but it would jam when it was just about through. The cordless drill we were using just didn't have enough oomph to cut through the last little bit. The drill did fine up until it started to break through the far side of the steel. Once the cutting edges reach the far side and it starts to enlarge the hole, they start to dig in because there is less surface area to push against. We ended up having to use a series of bits to finish these four holes. We went to 3/8", then 7/16", 15/32", 31/64" and finally 1/2". Actually, it was several more changes than this because as soon as one went all the way through we would then switch to the half inch bit, it would fail, and then we would have to back off. Real pain in the neck, but we got it done. We celebrated with a shot of Old Crow when we were done. For as long as I can remember, I have been hearing about how entrepreneurs are the source of all good things, economically speaking. They create more jobs, they are what makes America great. From what you hear in the press they must be the greatest thing since sliced bread. It occurs to me that many people become entrepreneurs not because they want to, but because that is the only course open to them. When times are tough and jobs are scarce, people still need a way to eek out a living, and going into business for yourself may be the only way. We hear stories about the long hours they put in. They do it not because they are gluttons for punishment, but because it's the only way they can make their business work. When you have more people than there are jobs available, like right now, people are going to be trying all kinds of different things as ways to make money. There will be the occasional criminal or scam artist, but most of them will be honest folks just trying to make living. Good luck to us all. "But in keeping with Manhattan etiquette for dealing with the deranged or emotionally disturbed, none looked directly at him. And no one stopped." Nice to have one of my ideas confirmed. From Zigzag by Noel Hynd, page 223, an entertaining espionage thriller from 1992. I want to say trashy, but that's not quite the right word. Not real hi-brow. Vulgar, maybe? I've been reading about Quantum Computers, especially about Dr. Geordie Rose and D-Wave's attempt to build a commercially viable one. The heart of D-Wave's quantum computer is a chip that is cooled to within a few thousandths of a degree of absolute zero. I knew that researchers had been trying to get to absolute zero, but I did not know they were so close. They will probably never actually get to absolute zero. By the time they have developed a machine that they think removes all the heat energy from an object, someone else will have developed a better thermometer that says, oh, close, but no cigar. Anyway, researchers have gotten very close to absolute zero, but what is more is that the machine has been commercialized. You can go out and buy a machine that will do this. Of course it is probably very expensive, but they are available. The machine uses a technique called dilution refrigeration. 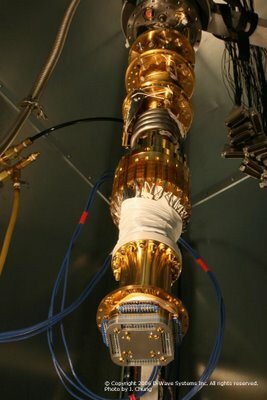 Business end of a Leiden Cryogenics dilution refrigerator with a D-Wave quantum computing chip mounted on the end. Dilution refrigeration uses a mixture of Helium-3 and Helium-4 as a working fluid. Now wait a minute. I've heard of Helium-4, that's a standard Helium atom with 2 protons and 2 neutrons that added together give it an atomic weight of 4. But what is this Helium-3? I've never heard of it. It must have 2 protons and 1 neutron. (If it didn't have two protons, it wouldn't be helium, it would be something else, like Hydrogen (1 proton), or Lithium (3 protons)). 2 protons and 1 neutron? That doesn't sound good, sounds like it might be unstable, as in radioactive. Generally speaking when you are talking about radioactive elements, the isotopes with the right number of neutrons are the stable ones, and the ones with too few or too many neutrons are the radioactive ones. Kind of like Goldilocks: This one's too hot, this one's too cold, but this one's just right. Uranium is one example. Uranium 238 is the common isotope (version). U-235 is the one they use in nuclear reactors. The stable one has 3 more neutrons than the active one. Turns out Helium-3 is just as stable as Helium-4. But where does it come from? How come I've never heard of it before? The answer to the last question is the easiest: I spend too much time reading newspapers and murder mysteries. Where it comes from is a little more difficult. There are two places: 1) the Sun, and 2) Radioactive decay of tritium. Let's look at Tritium first. Tritium is an isotope of Hydrogen having one proton and two neutrons: Hydrogen-3, if you will. Tritium is manufactured here on Earth by the US Government for use in Hydrogen bombs. It is radioactive and it decays and as it decays, it produces Helium-3. How it does that is not really clear, matter of fact it's downright weird. One of the neutrons breaks into a proton and an electron and an electron antineutrino. It also gives off some energy in the form of kicking these two subatomic whatsits (the electron and the electron antineutrino) out at some high velocity. Problem here is that neutrinos are neutral, and electrons are charged. So what we have here is a charged neutral whatsit, or a neutral charged whatsit. Sounds like an episode of Star Trek involving the Romulans and the neutral zone. The other major source of Helium-3 is the sun. Besides producing heat and light and assorted other radiation, it is also continuously blowing off debris in the form of atoms and subatomic whatsits known as the solar wind. The solar wind includes a certain amount of Helium-3. The sun is not a very good source for us because the Earth's magnetic field deflects most of the charged particles coming in on the solar wind. 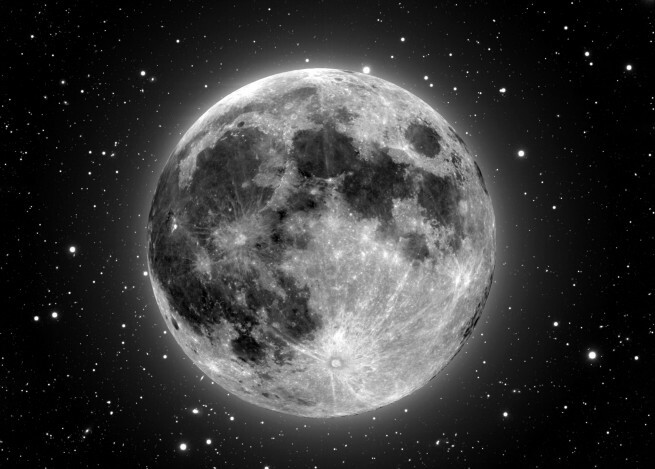 The moon on the other hand, with no magnetic field, picks up a lot of Helium-3. So if we needed a bunch of Helium-3 we could get it from the moon. We've been to the moon before, so given the will, we could do it again. Getting there is easier said than done, though there has been some talk about it in recent years. Helium-3 also has the potential to be a fuel for an electrical power generating plant. The plant would employ fusion using Helium-3. However there is not enough Helium-3 on Earth to fuel such a plant for a useful length of time. Using Helium-3 to generate power might work much better than the Hydrogen based nuclear fusion projects that have been garnering the lions share of the news on this subject. So this could turn out to be very weird. We send spaceships to the moon to establish a processing plant to extract Helium-3 from moon rocks and ship it back to earth to fuel our Helium-3 fusion power plants to generate electricity. 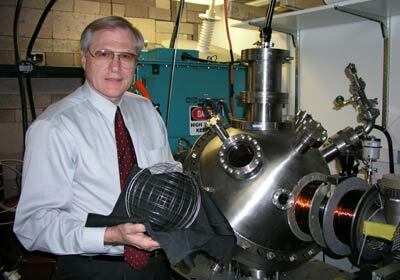 As a side benefit, the price of Helium-3 might go down from it's current $500 a liter. Oh, wait, we're getting it from the moon. Transportation costs are going to be horrendous. Price will probably go up, but if using Helium-3 fusion to generate electrical power can be made to work, it might very well be worth it. October 2016 replaced missing pictures. October 2017 replace missing picture. The subtitle is The Struggle to Build a Future of Hope. Paul Bremer was the guy President G.W. Bush picked to head up the reconstruction of Iraq after the 2nd Gulf war. Not a very good book. I picked it up in a dollar store (for a dollar). Oscillates from daily life to technical details to statistics of the economic situation in Iraq, which was dire. 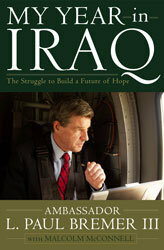 I read the first four chapters and the picture he paints of the situation in Iraq is kind of amazing. The whole country was like an old car in the Midwest that has been patched up with Bondo and paint to make it look nice. It might look good on the outside, but underneath, where it counts, the whole thing is corroded and rotten. Saddam and his cronies had been looting the country for years, no investment in maintenance of the infrastructure much less in any new facilities. Everything, water plants, sewer plants, power plants, oil refineries, was on the brink of collapse. No wonder it has taken so long to get their economy restarted. No wonder the fighting was over so quickly. If we had waited any longer they probably would not have been able to send anybody out to meet the Infidel Invaders, must less put up any resistance. I gave up on the book because it got to be tedious. Meeting piled on crisis piled on meeting. Got old pretty quickly. How Fast Is The Moon? After I compared a hydrogen atom to the solar system, I got to wondering about how fast the Moon is traveling. I mean it takes a month for it to go all the way around the Earth, and whenever someone talks about the moon they say it is just hanging in the sky, like it isn't moving at all. But in that month of traveling, it has a long way to go. So, can you see it move? I did some calculations (the Moon is about 240,000 miles from Earth and about 2,000 miles in diameter) and the Moon occupies about 1/2 of a degree of your field of vision, which is about the same as the width of your thumb at the end of your outstretched arm. The Moon travels about 12 degrees a day (360/30), or about 1/2 degree per hour. So the Moon should appear to move the width of your thumb (or its' own diameter) in about an hour. So if you watch carefully for a few minutes you should be able to see some stars being occluded by the Moon, or you would if the light from the Moon wasn't overpowering the nearby stars. Comparing it to some fixed Earthbound landmark, like a tall building or an antennae wouldn't work because the velocity of the landmark across the sky is going to be much higher than the Moon's velocity. The picture at the top is a trick photograph. What you can actually see is probably very different.